It was an amazing turnout and, as far as I know, no incidents happened. While Chicago might not have gotten Bill Nye as a speaker (like DC), we did have two women, a Native American, an African American, and a Hispanic American boy. 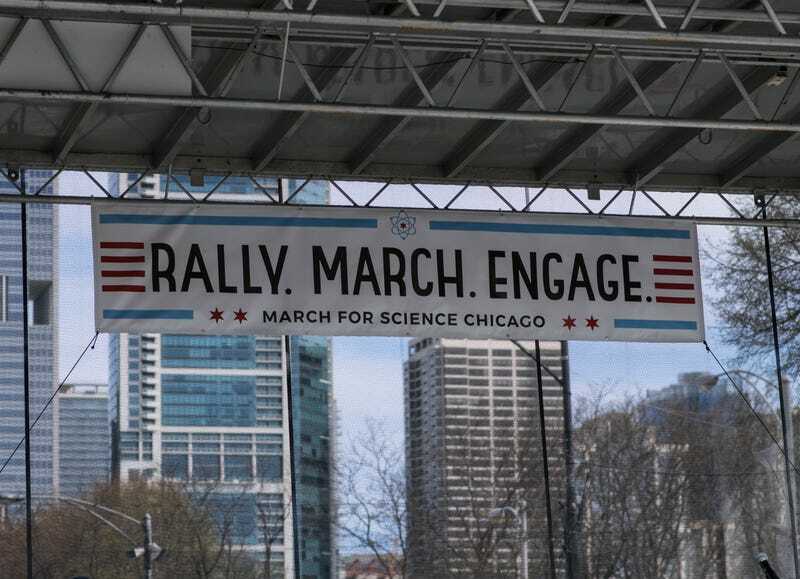 This was especially great considering the amount of scrutiny the main March for Science was getting about diversity issues. At the end of the march there were tables set up outside the Field Museum from many different groups dealing with all kinds of science. Kids got hands on with some experiments and such. It was just an amazing time. I was also able to get into the Field Museum at half price, which is an AMAZING place! You Can Read This Because SCIENCE!